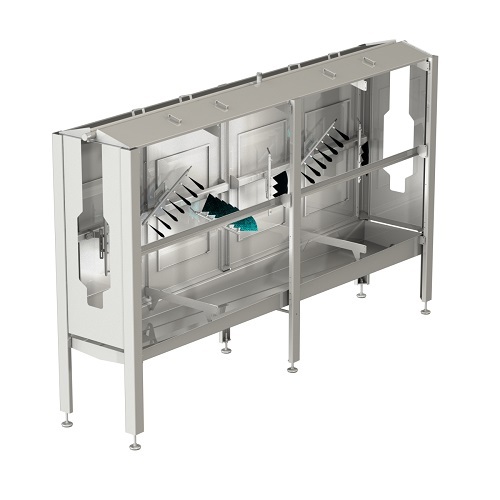 Features and benefits: Spray cabinets are designed for products that need an antibacterial treatment, rinsing,coloring or any other liquid treatment prior to hitting the production line.The spray cabinets are custom designed to fit your current conveyor. Construction: Made of 300 series stainless steel, TIG welded, designed and constructed to your specific needs. Description: Enhances food safety programs and controls.